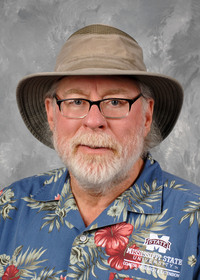 The information presented on this page was originally released on February 26, 2009. It may not be outdated, but please search our site for more current information. If you plan to quote or reference this information in a publication, please check with the Extension specialist or author before proceeding. A lot of gardeners ask me what they can grow in shadier parts of the garden to add color and pizzazz. If you find yourself asking that same question, it's probably time to let Kong loose. The Kong series of coleus was selected as a Mississippi Medallion winner a few years ago, and it has continued to be one of the largest-leafed selections and tops in color. A while back I saw a combination that was a match made in TV heaven -- Dragon meets Kong. 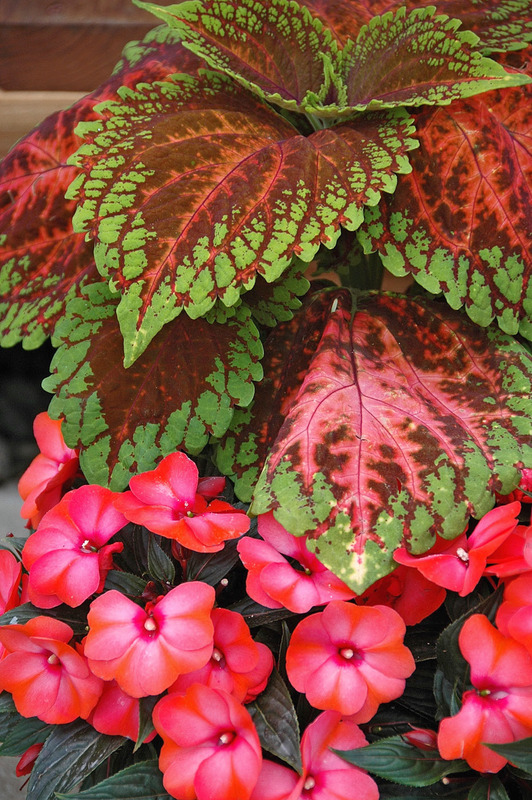 The planting featured the Kong Red coleus and the lush and exotic-looking Dragon Wing Red begonia, another Mississippi Medallion winner. The back of the bed featured Mona Lavender plectranthus. If you try this combination planting, you will have a bed that performs from early summer through fall. The bright, lime-green margins of the Kong coleus light up the shade garden. 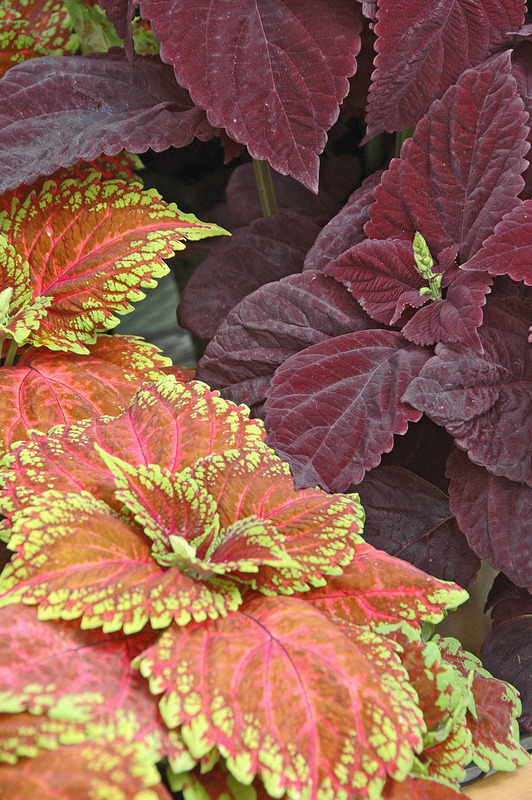 Among the largest of any coleus, the Kong leaves have a burgundy and a fiery red that is similar to the red in the Dragon Wing begonia. Dragon Wing is lush and vigorous, able to grow in sun or shade. Mona Lavender's deep dark green leaves with purple undersides serve as the perfect backdrop and add to the show by sending up light lavender spikes. This is just one example of a partnership you can make with Kong coleus. New to the series this year is Kong Salmon Pink. Many think this is the prettiest in the series, and it would be hard to argue against that. An incredible partner to try with Kong Salmon Pink is another new coleus called Dark Chocolate. This is a really deep, dark chocolate color that you would think would get lost in a shady location, but the way it works with the Kong Salmon Pink makes them both grab your attention. Another enticing companion planting I saw with this new coleus featured Paradise Malita New Guinea impatiens. The Kong Salmon Pink has hints of orange and a rusty burgundy in its large leaves. The Paradise Malita has large, light orange flowers that echo these colors. The Kong coleus reaches its true potential in gardens with shade to filtered light. Soil preparation is also important, so make yours loose and fertile. If you have tight, heavy clay, incorporate 3 to 4 inches of organic matter and a little sand. This will provide a good home for the roots of your bedding plants, allowing them to get established and happy in your garden. 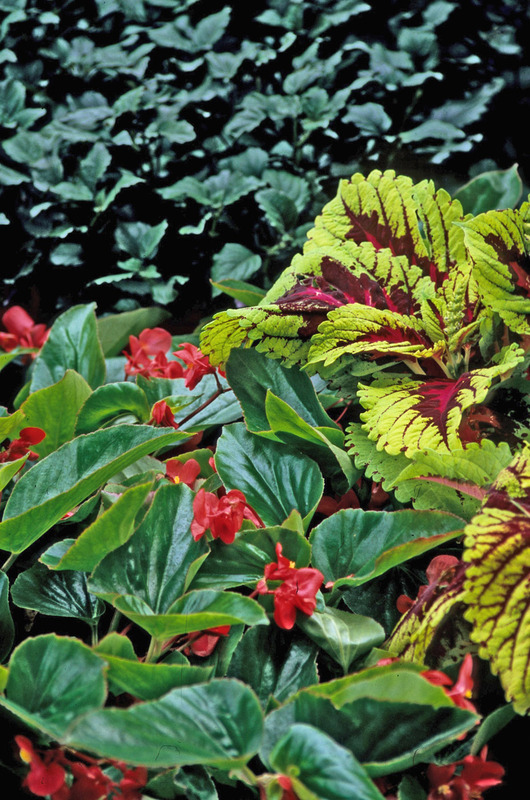 As the Kong coleus starts to send up flowers, pinch them off to keep the plants tidy and those glorious leaves coming. With spring coming soon, coleus will be at garden centers along with scores of other plants from which to choose. Coleus like the Kong series will add the sizzle you want in your garden.